My mom actually came across this recipe and shared it with me. I’m so glad she did. 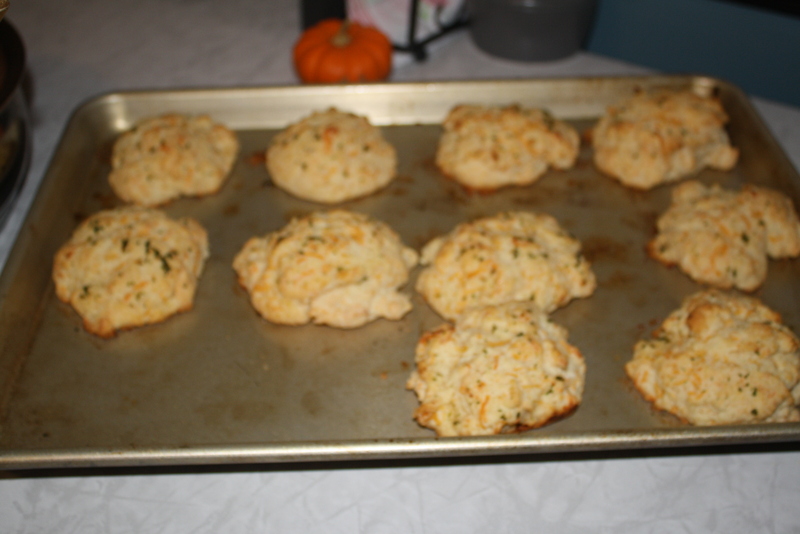 They are so easy to make (especially since you use biscuit mix!) and taste exactly like Red Lobster’s. Now Zack and I can save our money and eat the same exact thing at home! I love learning to make restaurant dishes! Combine bisquick with cheddar cheese, milk, 2 T melted butter, and 1/8 t garlic powder in a medium bowl. Mix until well-combined. Combine 1/4 c melted butter with 1/2 t garlic powder, and parsley flakes. Brush this mixture over the tops of each unbaked biscuit. Bake for 14-16 minutes or until tops of biscuits begin to turn light brown. Serve warm. 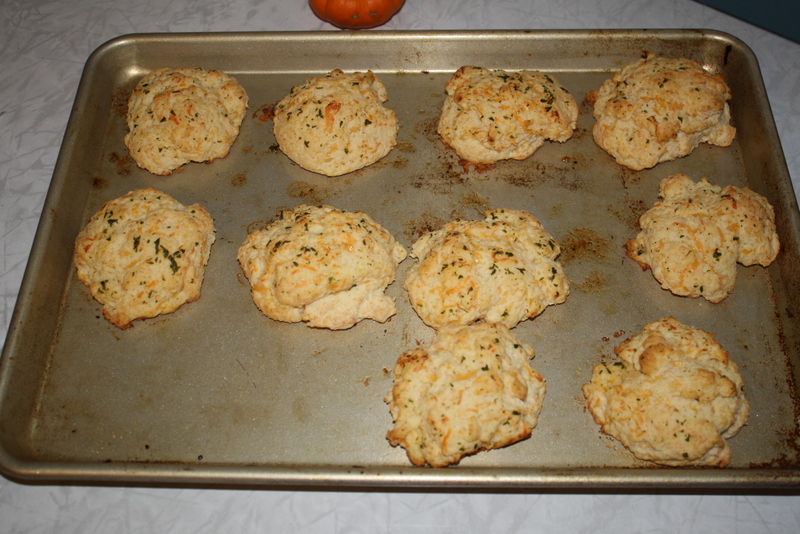 I no longer have a need to go to Red Lobster…the biscuits were always a draw for me. I’m not a fan of Red Lobster either – mostly because I’m not a big fan of seafood. But I can totally get behind these biscuits! I’ve never had Red Lobster biscuits, but these look awesome!! I am not a fan of chain restaurants because the food is almost always sub-par. Way to go with this great recipe! I’m pretty sure your biscuits are better than Red Lobsters!!! I do love those though and I think it was the only thing that I ever loved there!!! Yep, their biscuits are the one redeeming factor of Red Lobster. Great recipe! I will be using this in the very near future. I’m sure these are delicious. Garlic, cheddar, bay? Yum! that’s new flavor a biscuit never taste it but looks great.